Pit Firing offers lessons in Buddhism and Kabbalism for ceramicist Susan Duhan Felix. When Susan Duhan Felix puts clay slabs into holes in the sand at Dillon Beach, sprinkles them with salt, sawdust, and copper carbonate, then adds wood, ignites it, and lets the slabs smolder, she's making art. No two pieces emerge alike. Two slabs fired side by side might share similar pinks and blacks, but smooth streaks on one might evoke human skin, pocks on the other a bullet-riddled wall. This is pitfiring, the earliest known mode of firing clay. Felix never knows what she'll get. "Pit firing is a very amazing process," says the Berkeley ceramicist, "because you have so little control over it. You take a blank slab of clay. You make a big fire. What happens in that fire is completely unpredictable. In Hebrew. the word for 'faith' and the word for 'art' come from the same root. Pit firing is a test of faith." And it makes art, currently on display at the Pacific School of Religion's Badè Museum (1798 Scenic Ave., Berkeley), where on June 28 Felix will give a talk and poet Morton Felix will read his work. Called "Mystery Made Manifest," the exhibition accompanies a display of findings from an archeological dig in Israel. A student of Buddhism and Jewish mysticism, the artist finds echoes of both in her work. In the kabbalistic creation story, God issued light-filled vessels that broke enroute to the brand-new world, scattering sparks, which humans must now gather and nurture. "We each contain a little holy spark," Felix asserts. As for Buddhism — unlike other practices in which the artist controls the final product down to the last detail and can rework bits that come out wrong, pit firing is an exercise in hopeful randomness: No do-overs allowed. 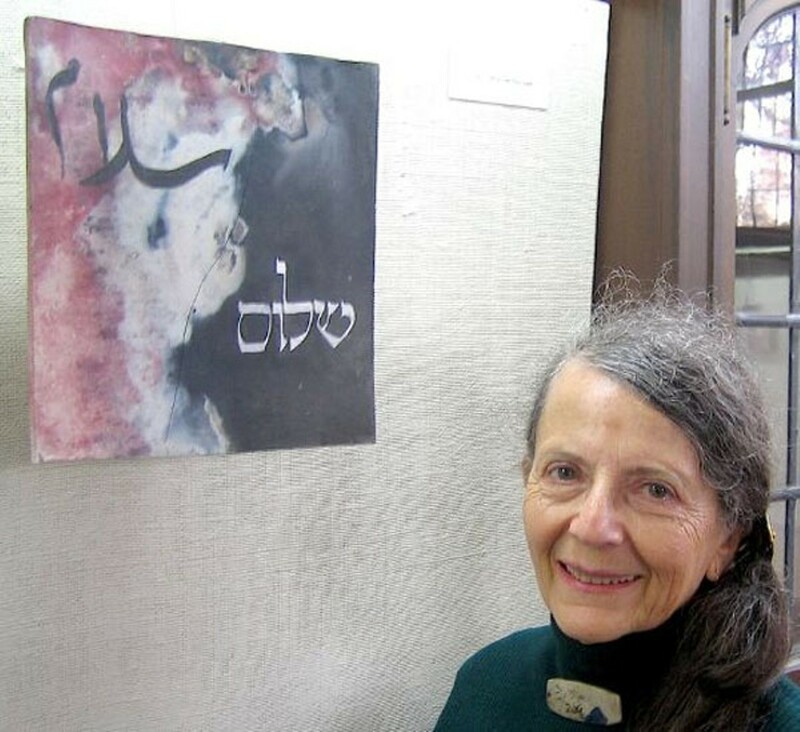 One piece in this show, "Shalom Salaam," features the words for "peace" in both Hebrew and Arabic calligraphy. Affixing slabs to scrap wood mountings for the show, "I used a new kind of glue that I'd never used before. I didn't read the part of the package which said, 'Heat will separate.' And I hung some of these pieces near a radiator." Sliding off its mounting, "Shalom Salaam" shattered on the floor. So she did a piece called "Hope." Felix repaired them, not attempting to hide the breaks but actually emphasizing them with gold leaf.